A giant figure in Alaska history has passed. Former state lawmaker Jack Coghill died this morning at the age of 93. His son, state Senator John Coghill, says his dad died peacefully at the younger Coghill’s home in North Pole after months of declining health. “This is not a big shocker. But, y’know, you’re never ready for somebody to leave you,”” John Coghill said. Jack Coghill was born in Fairbanks in 1925, when Alaska was still a territory. He served a tour of duty during World War II, then settled in Nenana to help his father run the Coghill General Store, which the family still operates. Coghill was elected to the territorial House in 1952 and again in 1956, before being elected as a delegate to the Alaska Constitutional Convention. The 55 delegates wrote the Alaska Constitution during the 1956 convention held at the University of Alaska in Fairbanks. And Coghill was the third delegate to sign the document. 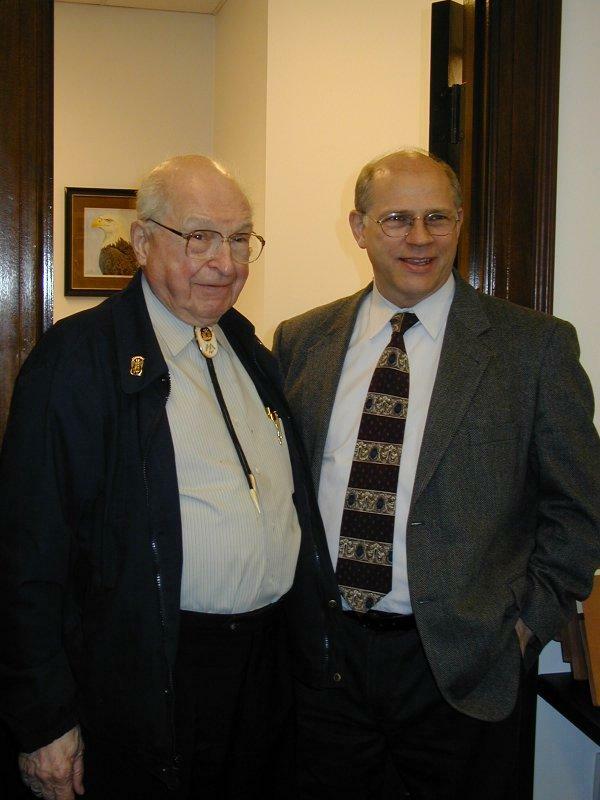 Coghill’s passing leaves only one surviving delegate, former state Senator Vic Fischer, who also served in the territorial Legislature. John Coghill was on a trip to Cordova when his father passed away. While waiting for a flight back to Fairbanks, he said he’s still trying to figure out how to best give tribute to his father. “So I will be pondering how to honor him the best I know how, with some of the good history and some of (his) outstanding contributions – things like that,” John Coghill said. Arrangements for memorial services and interment were still pending as of this afternoon. Previous articleHow would a $20M cut affect public schools statewide?